North Korea provided U.S. forensics experts with just a single dog tag to help with identification after handing over the remains of 55 American military members who died during the Korean War, reports the AP. 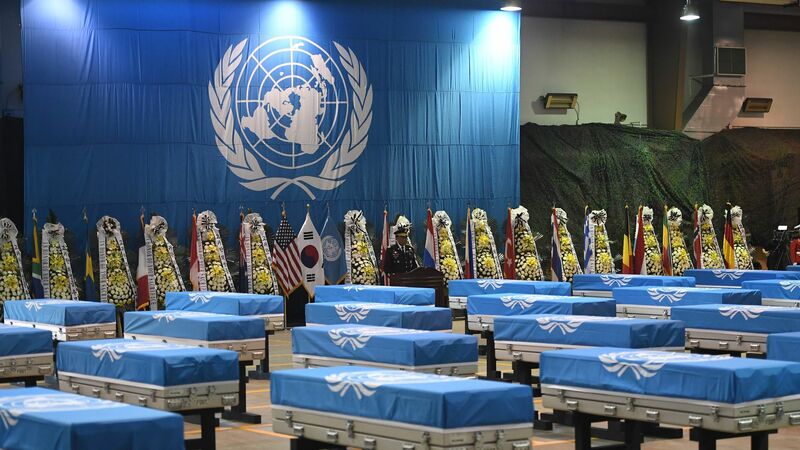 Why it matters: The effort to provide the U.S. with the remains of Americans killed in the war was a delayed promise kept by North Korean leader Kim Jong-un after his June summit with President Trump. Per an anonymous official who spoke to the AP, it could take "months if not years to fully determine individual identities from the remains, which have not yet been confirmed by U.S. specialists to be those of American servicemen."